They have long, spirally curved abdomens, which are soft and must be protected by a shell. They don’t have their own shells, so they must find a new home as they grow. Most often they use empty sea snail shells, although they can use shells of bivalves (such as clams, oysters, scallops) and scaphopoda (tusk shells). Or, if sufficient shells aren’t available, they might live in coral or rocks. They’re found in temperate or tropical oceans, from deep seas to rocky or sandy areas that include tidal pools. They’re scavengers, feeding on algae, plankton and organic matter. 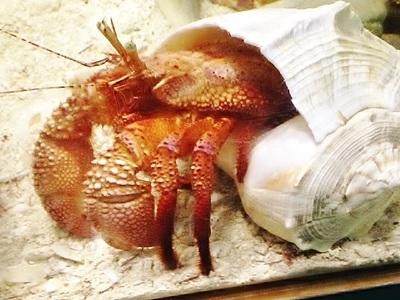 They can carry a passenger: Some larger species of hermit crabs can support one or more sea anemones on their shells to scare away predators. 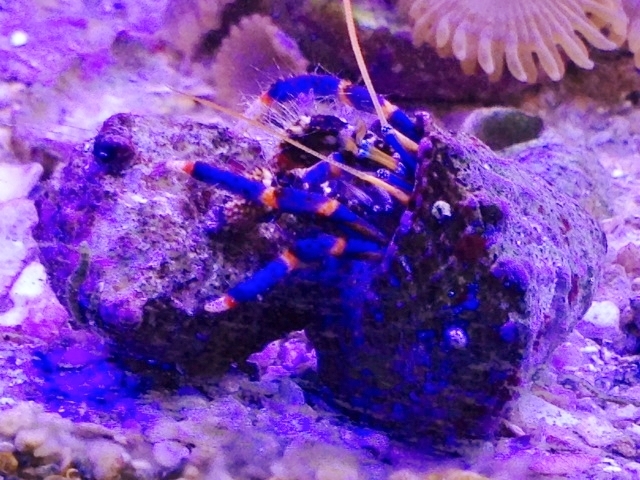 The anemone benefits by getting bits of the crab’s food. 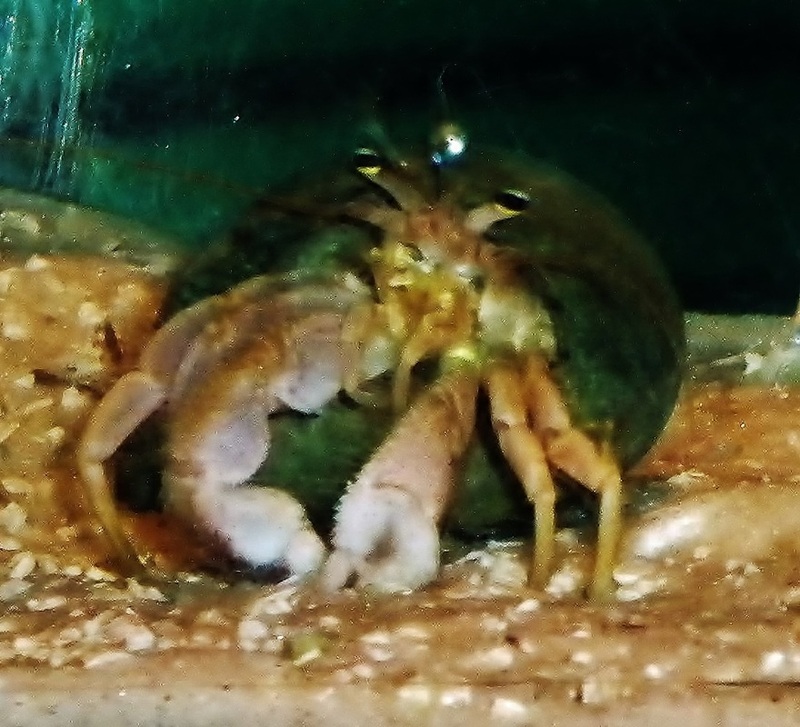 Marine hermit crabs can’t live on land because their gills are designed to collect dissolved oxygen from the water. And terrestrial hermit crabs can’t live in the water because their gills are modified to breathe air.